Since the start of the beFORE project in January 2017, many different outputs have been generated as a result of the joint work and effort of professionals from the foresight, entrepreneurship and education worlds. These ongoing results are the basis for achieving the ultimate aim of the beFORE project, consisting of creating Futures Literate Individuals with improved capacity for analyzing and dealing with the unknown future challenges when managing organizations and developing innovations; through the development and release of a set of Futures Literacy e-learning courses tailored to the needs of entrepreneurs, students and academics. This way, after collecting and creating a case studies database of best business foresight practices from several sectors, along with best education practices (educational offer) regarding foresight available currently at global level and relevant publications related to the topic, a state of the art analysis was carried out for the identification of the competences linked to a future oriented individual, together with a second analysis in order to identify the main needs of academics, students and entrepreneurs in relation to these competences when managing future oriented tasks (see: http://futureoriented.eu/downloads/). With this identification of needs as a starting point, the beFORE Consortium is about to finish the development of a Futures Literacty e-learning platform, that may facilitate the improvement of capacities and knowledge regarding foresight and the management of future oriented tasks by students, academics and professionals/entrepreneurs, as well as the adoption of future thinking practices. This platform consists both of basic contents and more advanced ones. 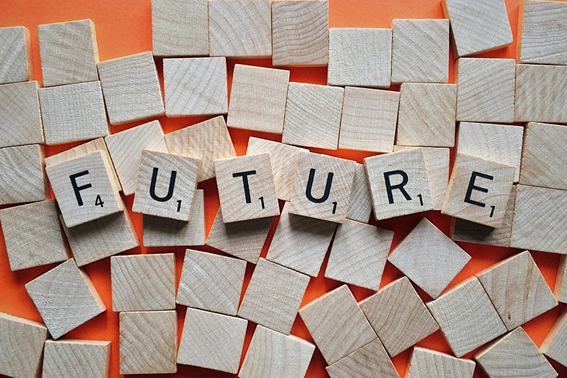 As for the more basic contents training set, this includes and introduction to the future concept and typology of futures, together with other topics related to system thinking and foresight applications in the business environment, among others. On the other hand, as for the more advanced contents training set, topics related to technology forecasting, ideation and prototyping or roadmapping are the ones integrated here. So, what is next? Testing the Futures Literacy e-learning platform by academics, students and entrepreneurs is an essential element of the beFORE project; a key stage to test, contrast, adapt and validate the developed tool and contents, to guarantee that the platform is addressing properly and with a high quality, the needs of these three target groups in their journey towards becoming future oriented professionals. This testing phase will be initiated in March, and it will be opened for students, academics and professionals/entrepreneurs, or any other person (ie. policy makers…) that may be interested in knowing more about how foresight and future thinking can help you to deal with the unknown future challenges when managing organizations and developing innovations in your day-to-day work. Do not miss the opportunity to have access to these training materials and become a beFORE e-platform tester! Just contact us (info@futureoriented.eu) and you will be able to test this innovative platform at your own path, in a flexible way. Not only will you be benefited from the platform contents, but you will contribute to improve it, according to your practical experience, as your input will be highly valuable for the excellence of the projects results.